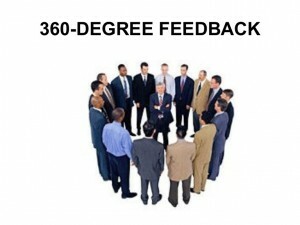 The use of 360° feedback (also called multirater or multisource feedback, full-circle appraisal, and group performance review) became highly popular in the mid-1990s and is currently being used by organizations of all sizes. This type of feedback or appraisal is used to obtain performance information from sources “in a circle around” the individual being rated—thus the term 360° feedback. Those who provide 360° performance feedback on the individual being assessed can include customers, coworkers, team members, supervisors, subordinates, and the person being rated (this is called self-assessment or self-appraisal). Rather than the more typical method of top-down appraisal, 360° evaluation provides focus on the customers, both internal and external. The traditional method of performance appraisal, where a supervisor evaluates a subordinate’s work, is primarily a one-way or one-sided system. The conventional performance appraisal may allow a supervisor to be overly (and therefore unfairly) subjective when evaluating the employee, which could lead to rater error. There are several types of rater errors that can occur when a manager alone assesses an employee’s performance. Obtaining feedback using the 360° or multirater model is useful because it allows employees to see a bigger picture of their performance, and with more detail. 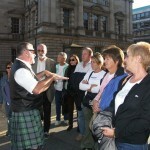 It also centers attention on the internal and external customers of the individual being assessed. Companies have also found that multirater feedback allows for a greater focus on the organization’s mission, goals, and strategic plan more effectively than traditional appraisal methods. It can further place attention on coworker relationships and team building and can promote individual initiative in a hierarchical corporate environment. It permits employees to participate more in decision making, allows greater self-reliance, and gives them personal responsibility for their interactions with others. Moreover, it contributes to employee career development and growth, since feedback can be used to create individual career development plans that help employees better understand their own strengths and weaknesses. Because the feedback comes from many sources, it lessens the probability of discrimination that may be present with only one rater, who is usually the immediate supervisor. The primary positive results are the creation of a high-involvement corporate culture and increased personal responsibility. Another positive aspect of multirater feedback systems is that if the organization chooses a Web-based assessment tool, it is easier for employees to use (no paper and pencil), and it can compile the data for results on each employee. 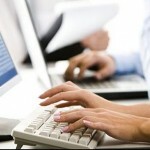 Web-based systems can also be customized based on organizational goals and individual employee competencies. In 1995, approximately 40 percent of organizations employed 360° feedback, and by 2000 it was up to 65 percent of companies and growing. Many experts and researchers of multirater systems find that there are several best practices in the field. Experts suggest that multisource feedback be used only for individual development of employees, not for succession planning or compensation purposes. A good system will assess knowledge of the job, the industry, and the organization and its goals; the skills needed to be proficient in the employee’s specific role; and behaviors such as being positive or having energy. Experts recommend that the system should not be used to assess personality traits, only competencies for the job being performed. Researchers recommend that 360° feedback be linked to the strategic goals and objectives of the business. All users of this system should be well trained, and the process monitored closely. It is further advised that the organization’s leaders be used as role models for others using the system and that the company invests in the process. The results of the process should be acted upon by creating a plan for employee development. Experts also advocate ongoing evaluation of the process to ensure that it is adding value to the business. Researchers also say that unless those participating in a multirater feedback program are trained in the art of giving and receiving this type of feedback, the process can lead to conflict among team members. Differences between raters and their interpretations of the assessment questions can lead to errors in validity and reliability of the instruments being used. That is why importance must be placed on proper use of the feedback system. Other problems cited by researchers are that 360° feedback takes more time and effort than traditional appraisals, that it can assess competencies unrelated to the business goals, and that there is a lack of follow-up with so many different appraisals to review and consolidate. Differences among the various raters will obviously cause problems for the manager who is responsible for developing a cohesive performance plan. Researchers have also found that a supervisor is the most accurate assessor of an employee’s performance and that employees are the least accurate raters of their own performance. Employees tend to give themselves higher ratings than others in the feedback loop. Lower performers tend to rate themselves more highly, and the best performers tend to underestimate their performance in comparison to supervisory ratings. Another issue with 360° feedback is confidentiality. Studies have shown that confidential feedback tends to be more honest and to provide a more realistic assessment when the employee being rated does not know the exact identity of the appraiser. In other words, raters worry about retribution from the employee, so they offer higher ratings if the appraisal is not anonymous. Experts contend that the best practice is to use confidential, anonymous feedback. Multirater assessment tools can be costly, but organizations should purchase an instrument that has been professionally developed and validated. Feedback instruments should include well-researched items that are directly related to employee responsibilities and competencies. Experts further recommend that 360° feedback be used only for performance improvement and employee development—not for performance appraisal or pay considerations. Moreover, they contend that multirater feedback should be an organization-wide initiative, not just for some employees who need development, but for all employees, including the organization’s leaders. So that managers will not be expected to deal with feedback on all employees at the same time, authorities on this topic also conclude that such a program should be ongoing throughout the year on a rotating basis. If a supervisor has a large number of reports, this initiative could be too large a time commitment over a short period like an annual performance cycle. a) Is it clear why the organization is going to use this system rather than the traditional appraisal format? d) Are the managers going to use the data toward the development of individual employees? e) Are the employees going to utilize the feedback for their own development and performance improvement? The steps in the 360° feedback process can seem daunting, so considerable thought and research before launching the initiative is recommended. First, the organization must determine whether it is ready for such a program. After reviewing the questions listed above, if the answer to these questions is yes, the next step is to conduct research and select the appropriate feedback tool and process to be used. This might also mean selecting a consulting firm or external subject matter expert to assist the organization with the initiative. Consideration should be given to who will create the assessment form and what it will include. For whatever tool is selected, the organization should confirm that the assessment tool has statistical validity and reliability and should ensure that the questionnaires are directly related to the employee’s job and competencies and to the company goals. Once the process is formulated, the next step is to determine who will provide the feedback and how it will be obtained. Again, the organization should answer several questions: Will it be internal only? Will it include suppliers and external customers? Will computers be used in completing the assessment? Is the computer system secure? After the feedback is obtained, the next step is to compile it into a useful report that the employee can review and understand and then use to create an individual development plan. Supervisors should be prepared to provide ongoing and consistent communication about the process and the follow-up plan. The organization should have a strategy for how the feedback results will be shared with staff. Following the creation of employee development plans, the entire process should be evaluated. This entire process should be renewed every 6 to 12 months for the employees. The company needs to also consider whether the feedback system met the organization’s expectations and whether employee performance improved, based on the feedback obtained via the process. There are several issues to consider before an organization makes a decision on whether to use 360° feedback. First, they need to assess the costs of the program, both from a financial and a staff time standpoint. Next, they should consider whether this method is going to provide more focus on the mission, goals, and strategic plan of the company than the current appraisal or employee development system. Also, companies should keep in mind that an initiative like this must have top-down support where corporate leaders are willing to give 360° feedback their full backing. Ideally, use of the system should begin with the leaders. Once the leaders and managers have been part of the process, they will be better able to explain it to their direct reports. The leaders, having been through the process, will confirm for employees its importance to the organization. Another consideration is training the users of the 360° feedback system. All employees, customers, suppliers, and any other users will need proper training on the correct and fair application of the feedback system. The organization needs to be prepared to create an individual development plan for each employee once the feedback is gathered. This part of the process is essential and should be taken seriously. And finally, the company should also be prepared to continuously evaluate and adjust the system based on problems or issues that arise. An organization should consider all the pros and cons of 360° feedback before making the decision to use such a system. The organization must be prepared for such an initiative from the top down. They must also employ effective planning and implementation processes. By carefully applying the strategies and best practices recommended by the experts, an organization will be successful with its 360° feedback initiatives. Collins, M. L. 2000. The Thin Book of 360 Feedback: A Manager’s Guide. Bend, OR: Thin Book. Edwards, M. and Ewen, A. 1996. 360° Feedback. New York: American Management Association. Eichinger, R. W. and Lombardo, M. M. 2003. “Knowledge Summary Series: 360-Degree Assessment.” Human Resource Planning 26:34-44. Frisch, M. H. 2001. “Going Around in Circles with ‘360’ Tools: Have They Grown Too Popular for Their Own Good?” Human Resource Planning 24:7-8. Haworth, S. 1998. “The Dark Side of Multi-rater Assessments.” HR Magazine 43:106-111. Hoffman, R. 1995. “Ten Reasons You Should Be Using 360-degree Feedback.” HR Magazine 40:82-85. Lepsinger, R. and Lucia, A. 1997. The Art and Science of360° Feedback. San Francisco, CA: Jossey-Bass. Pfau, B. and Kay, I. 2002. “Does 360-degree Feedback Negatively Affect Employee Performance?” HR Magazine 47:54-59. Rogers, E., Rogers, C. W. and Metlay, W. 2002. “Improving the Payoff from 360-degree Feedback.” Human Resource Planning 25:44-54. Watson-Wyatt Worldwide. 2001. Human Capital Index®: Human Capital as a Lead Indicator of Shareholder Value. Washington, DC: Author.